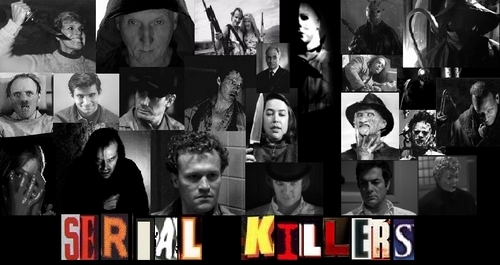 Serial Killers. . Wallpaper and background images in the 恐怖电影 club tagged: horror films slashers horror movies. hah That's neat, I like the text. Agree cool text. I really like this one! long ago that I didn't create any image, and this definitely is not the best I've created.... thanks anyway!